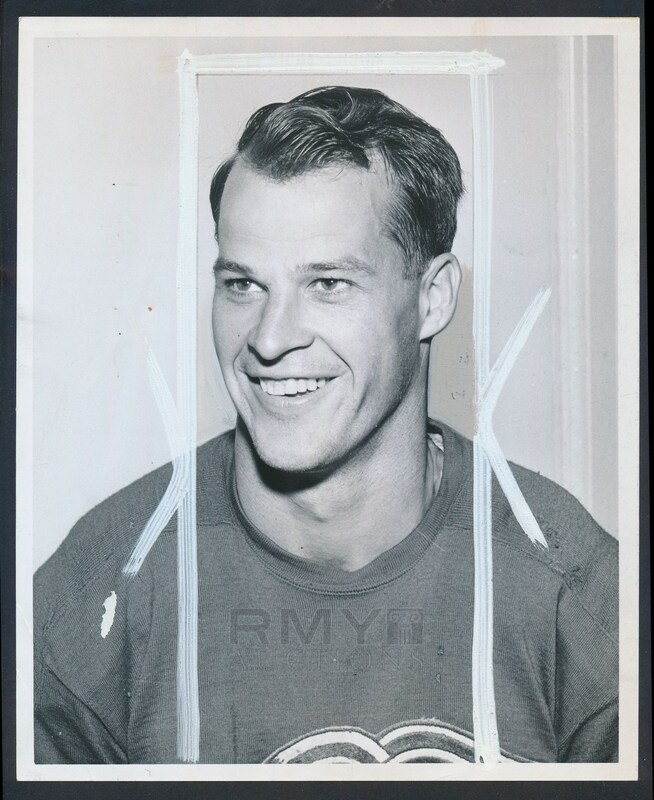 1950's Portrait photo in uniform of a young Gordie Howe "Mr. Hockey" at the prime of his career! 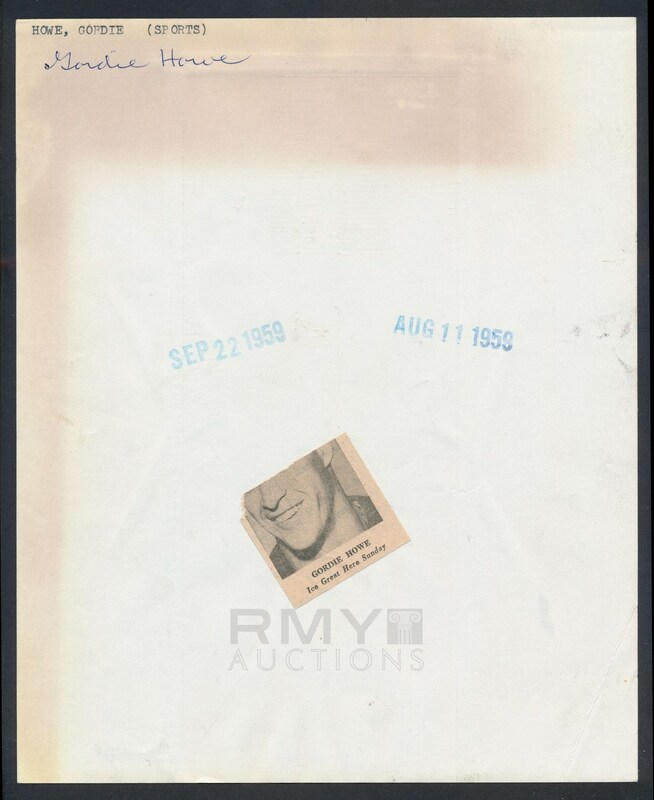 Large and detailed image is in great shape (save for one paper scrape on his shoulder and a corner crease) this is a crisp, clear image stamped on the back from 1959. Photo has some artwork added for publication that we left intact as it presents well and is part of the history of the photograph! One of his greatest images ever taken and for our money, his finest portrait!